Today, though, if you want to find out about Packards, all you need to do is ask Robert Escalante. Escalante owns Custom Auto Service, a Santa Ana shop that is known throughout the country for Packard restoration and maintenance. Escalante acquired his Packard enthusiasm naturally, having been captivated by stylish cars in the early 1970s while in high school. Oddly, his interest can be traced to a coed’s Volvo. “I always thought that was the coolest car,” he says recalling the early Swedish sedan that resembled a 1948 Ford. Escalante planned to buy a Volvo, “but then this Packard became available on Main Street in Santa Ana and I fell in love with it. It was almost like an oversized-looking Volvo.” He bought the car — a 1941 110 four-door sedan — and in the process found his calling. “The car had a broken taillight,” he recalls, “and I needed another.” That’s when he discovered Custom Auto Service and its owner Bill Lauer, who founded the business in 1966. “I had a radio for the car and I traded it to Bill for the taillight. The radio was worth more than the taillight, but I didn’t know that at the time.” No matter, Escalante soon began working for Lauer. “I started out doing chores around the shop,” he recalls, but later moved into body and fender work. Escalante’s father, Al, worked in the body shop of Reason Buick in Santa Ana at the time and was able to give him some pointers. Today, he is part of his son’s shop team and still offers his expertise. By 1983, Lauer — who also founded the Packards International Motor Car Club headquartered in the shop’s building — wanted out. Seismic retrofitting issues loomed and the city’s threatened use of eminent domain put the shop’s future in doubt. “The city wanted to put in a shopping center,” Escalante recalls. “And Bill didn’t want to go down the eminent domain tunnel.” So Escalante stepped up and bought the business. “Ignorance is bliss,” he notes when looking back at his eminent domain battles with the city, but he eventually prevailed. In addition to his father, Escalante’s brothers David and Sandy and his cousin Toby work in the shop. 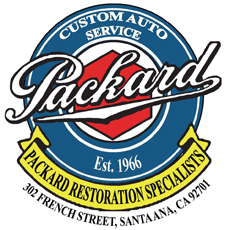 Additional expertise comes from Cal Soest, a Packard master mechanic who has been with the business since it opened. “Cal is one of the few guys around who can rebuild a 12-cylinder Packard engine,” Escalante says. A stroll through the shop shows about a dozen cars in various states of repair. “If we detail an engine compartment it is exactly the way Packard did it,” Escalante says. 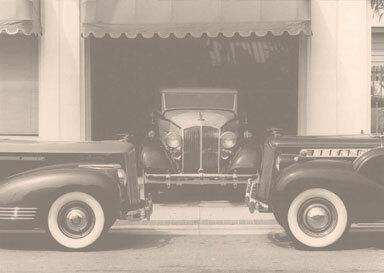 The club publishes a wealth of literature and information pertaining to almost all years and models of Packards including sales catalogs, owners’ manuals and shop manuals. As a member of Packards International you will receive our quarterly color magazine “Packards International”, as well as its quarterly companion publication “The News Counselor”. You will also receive invitations to our yearly International Membership Meet and National Tour, access to our projects, literature, and free advertising in our publications.